While there are about 2,500 known varieties of apples grown in the United States, and more than 7,500 grown around the world, Washington grows seven primary varieties of apples, each with its own appeal. This is pretty miraculous (and a lot of hard work!) when you consider that the only apple native to North America is the crabapple. It is said that the oldest apple tree in the state was from seed brought from England and planted by the Hudson Bay Company in 1826 at Vancouver, Washington. Today, 165,000 acres yield more than 100 million boxes of apples, each weighing about 40 pounds. 60% of those are enjoyed right here in the United States. The other 40% are shipped to over 60 countries around the world. With flavors ranging from mild to super-sweet, and textures ranging from light and crisp to firm and crunchy, there’s a Washington Apple to suit every taste and any recipe! The Red Delicious is the world's favorite snacking apple. 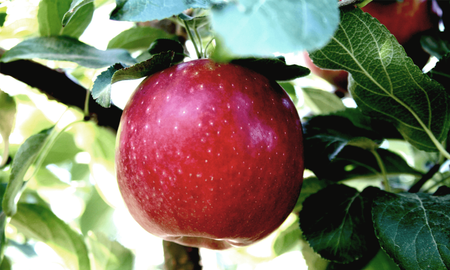 Other primary varieties grown in Washington are Gala, Fuji, Granny Smith, Honeycrisp, Cripps Pink, and Golden Delicious. 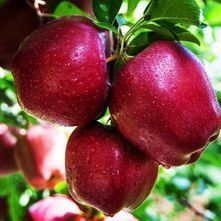 Visit the Washington Apple Commission website for more information on the characteristics and best ways to enjoy these and other varieties and meet some of the growers who produce these beautiful apples for us. Today, every single Washington apple is hand-picked. To address the issue of worker shortages, companies in California and Israel are working on a robotic apple harvester. Both have been testing their harvesters in Washington State and hope to have them on the market in 2018-2019! These robotic harvesters require skilled operators. See a demonstration of each harvester below. Other new developments include the arrival of two new kids on the block! Meet the Arctic Apple and the Cosmic Crisp™ . 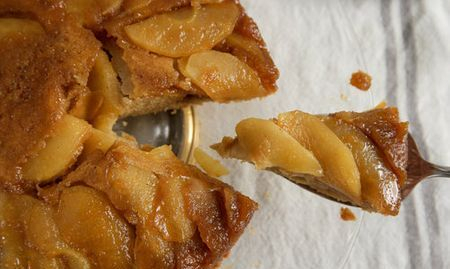 Love apples but don't love the browning after slicing? Then the arctic apple, brainchild of the Okanagan Specialty Fruits company, is for you! Because these apples stay beautifully fresh-looking long after you slice them or bite into them, more apples will be eaten and fewer will be wasted. The Golden Delicious apple is being rolled out in November 2017 to about 400 stores in the Midwest. Arctic Granny Smiths and Fujis will follow. Find more information on the Arctic Apple website and click below to see a time-lapse video of a regular Golden Delicious and its Arctic counterpart. What better way to enjoy these apples than in a fun snack that will have kids begging for more? 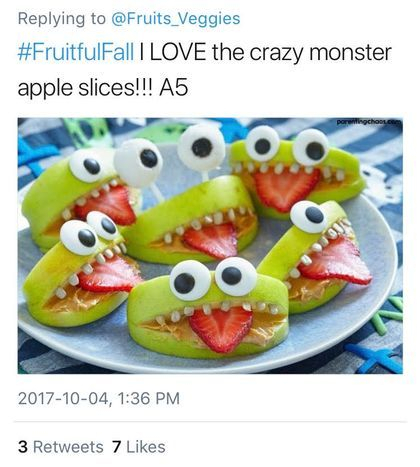 Make these crazy monster apple slices with peanut butter, strawberries, sunflower seeds and edible googly eyes. The Cosmic Crisp™ is the latest edition of Washington State University's world-class tree fruit breeding program. It is a cross between 'Enterprise' and 'Honeycrisp' and has a remarkably firm and crisp texture. Naming the apple involved several meetings with focus groups around the state with sessions in Pullman, Yakima and Seattle. The "Cosmic" factor in the name was developed because of the “striking” lenticels on the apple surface. Those little spots look like starbursts to some and consumers are believed to be drawn to names relating to outer space and the cosmos. One of the outstanding attributes of the variety is its crisp texture. “Crisp” also links to its parent, 'Honeycrisp'. WSU has started to distribute the first trees to farmers, and consumers should see some fruit available by 2019. We can't wait to try this Cosmic Crisp™ Upside Down Cake! Find this recipe and others as well as more information about this delicious new apple variety on the Cosmic Crisp™ website. Want to know more about Washington apples? Washington Grown dedicated an entire episode to our favorite fruit with more information and fun facts. 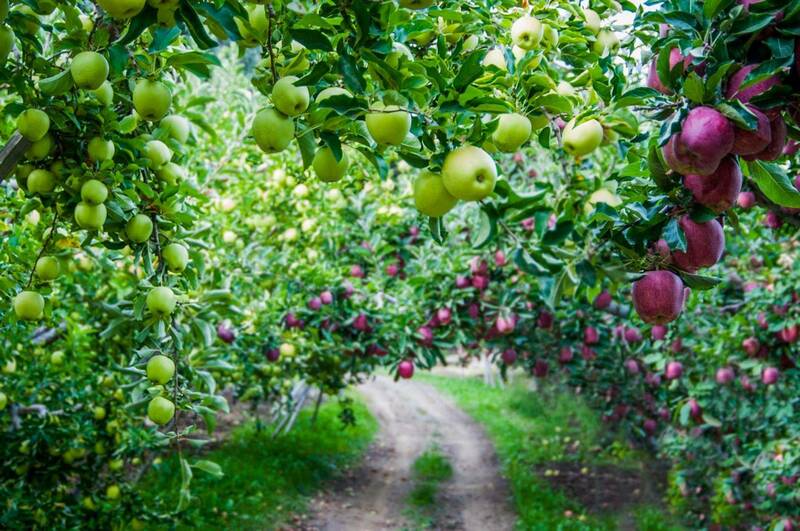 Visit McDougall & Sons Orchards in Wenatchee at a unique time - apple blossom time! Then learn about the savory dishes at Bon Vino's in Sunnyside featuring Washington apples. Finally, stop by the Apple Blossom Festival in Wenatchee and visit a unique museum . Click to the right to see the full episode and go to the Washington Grown website to see more!